This Place of Worship was founded before 1957, and we understand it is still open. When I first prepared this account in 2010, I was able to establish its site, marked with a '+' on my OS Street Atlas, and from above, satellite view, it looked like a church, but it was quite a different story on my StreetView drive past as it was looking like a building site, so evidently there had been some work going on at that time. 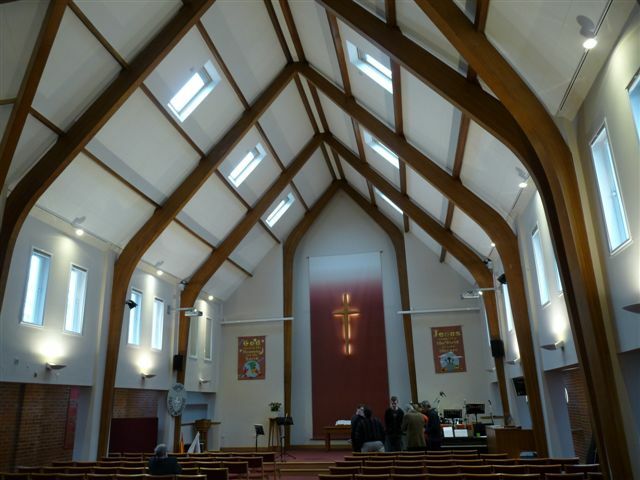 The immensely valuable Derby Methodist History website tells us that it opened in 1958, with its first members coming from the Primitive Methodist Church on Burton Road and from the United Methodist Chapel in Becket Street. There is information about Becket Street Chapel elsewhere in this database. 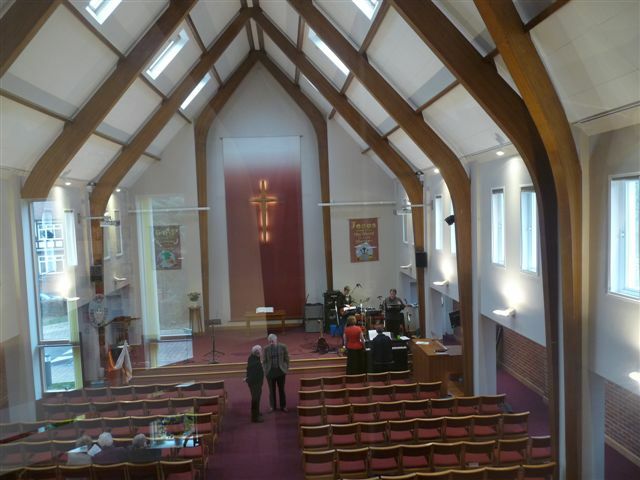 Alternatively, you may want to visit The Methodist Churches in Derby (Derby Methodist Circuit) for information relating to the present day. 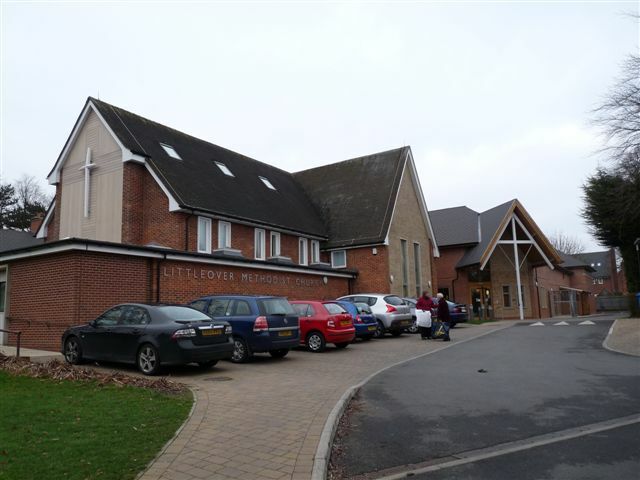 Littleover Methodist Church, Littleover, Derby shown on a Google Map. I have found many websites of use whilst compiling the information for this database. Here are some which deserve mention as being of special interest for Littleover, Derby, and perhaps to Local History and Places of Worship as a whole. See Becket Street Chapel elsewhere in this database. 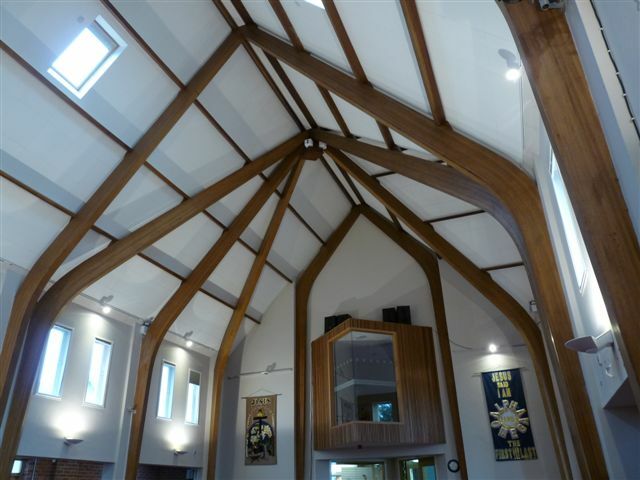 You may want to visit The Methodist Churches in Derby website for present-day information. Information last updated on 20 Dec 2018 at 15:49. Please also remember that whilst the above account may suggest that Littleover Methodist Church remains open and accessible, this may not remain so. This Report was created 30 Mar 2019 - 15:43:55 GMT from information held in the Derbyshire section of the Places of Worship Database. This was last updated on 6 Feb 2019 at 15:49.